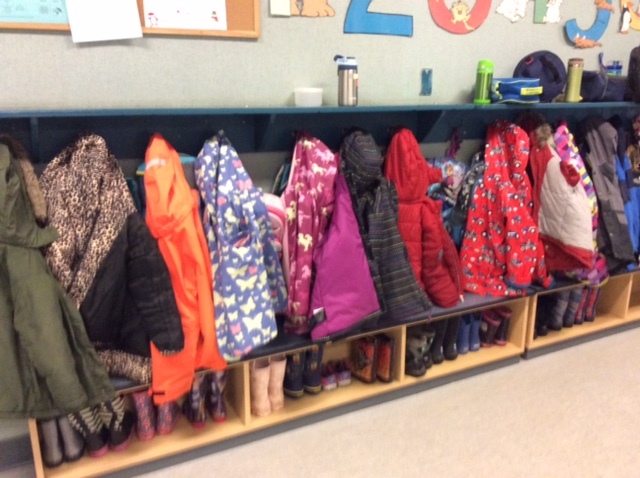 It might be rainy outside but we are doing our best to make sure everyone is warm and dry at school. 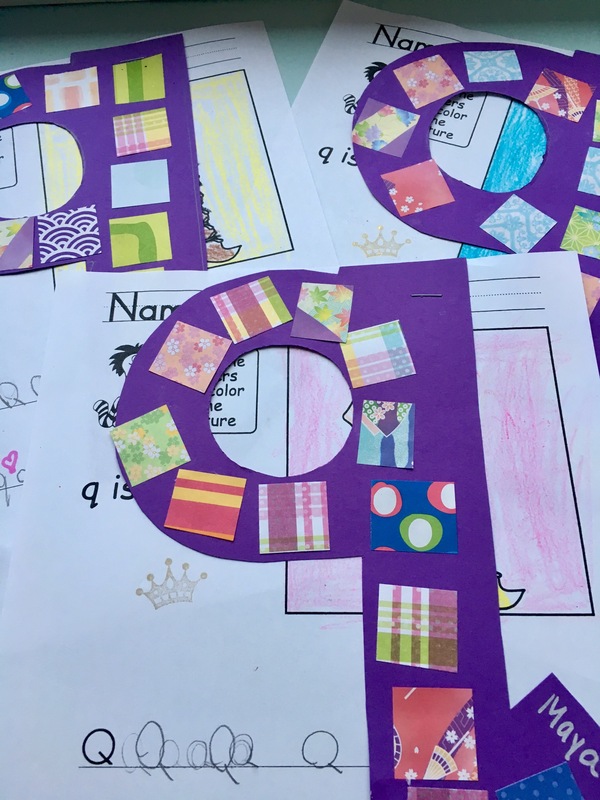 We’re keeping very cosy under our “q is for quilt” craft this week. 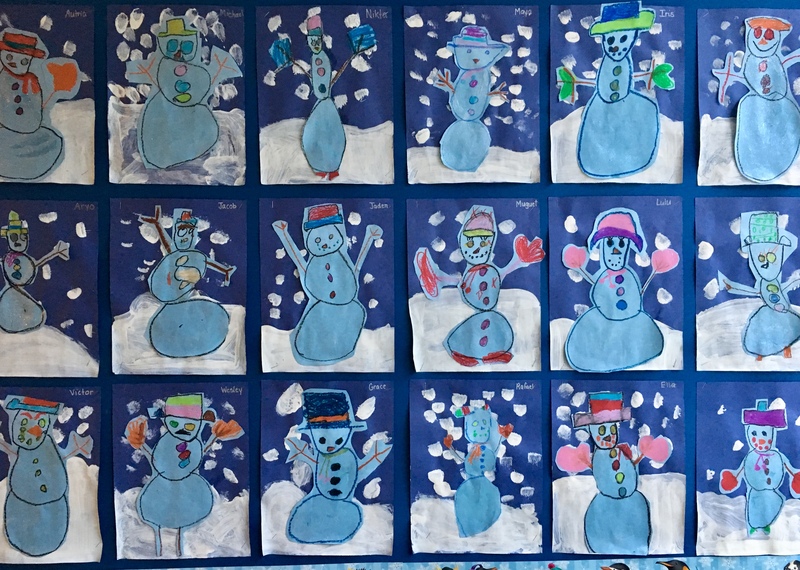 We finished our beautiful “Snowmen at Night” painting project, based on Snowmen at Night by Caralyn Buehner and pictures by Mark Buehner. This was a three day activity that began with painting in the snowy backgrounds, then pastel drawing and sparkle mod podge for the snowman, and finally a tricky cutting out and gluing of the two pieces together. The children did an amazing job with this multi-skill assignment. Thanks always to Patti Palmer @Deep Space Sparkle for her amazing ideas! 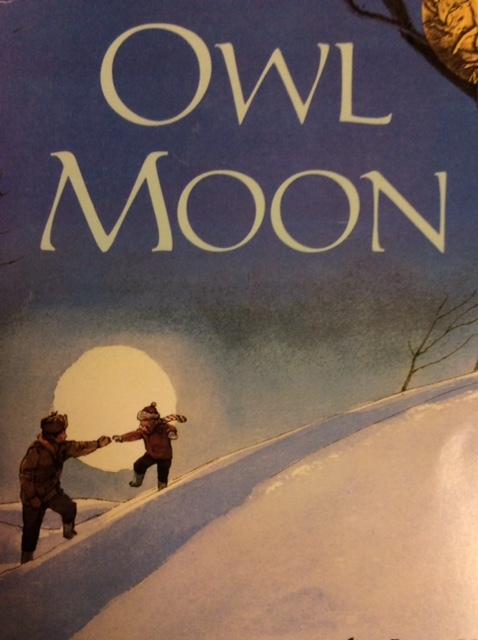 The bad weather called for more painting to chase away the rain so we read Caldecott Winner The Snowy Owl by Jane Yolen and illustrated by John Schoenherr, turned on the Baroque music and started painting the backgrounds. Next week we can show you the finished owls! 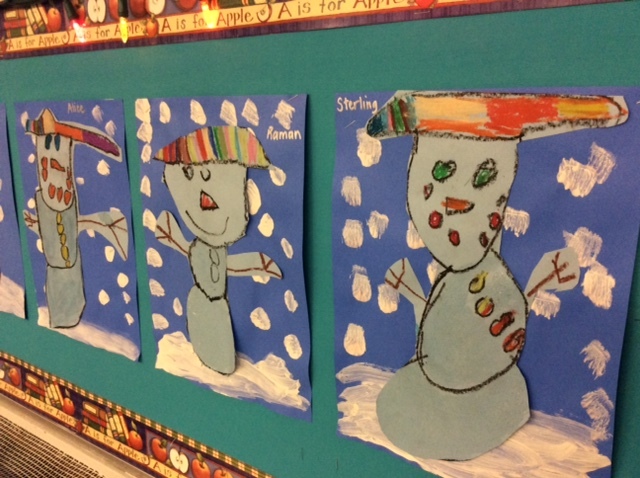 More winter stories to warm our hearts in the Library with our Teacher-Librarian, Mrs. Kennedy. For more cosy times, we saw our Big Buddies this week! We’re starting our digital literacy project on Polar Animals. 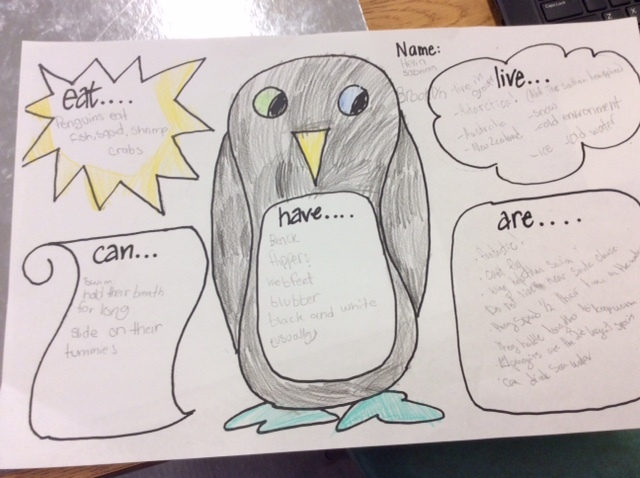 We spent our first session researching penguins with our Buddies to record the facts for penguin appearance, habitat, food and life cycle. As you can see, we are well on our way to gathering the information we need! We hope to have our projects finished by Spring Break to show you at Student Led Conferences in April. If everyone could be as caring, empathic and thoughtful as a Kindergarten child, then we are very fortunate indeed. Library is Wednesday. Please remember to return your book for book exchange. February Homework Calendars went home this week. Please return your January Homework Calendar to the classroom for a winter sticker. February Scholastic Book Orders were sent home this week. Please return order forms by Thursday, February 8. Our first skating trip will be Wednesday, February 7th. We will leave promptly at 9:15 so please have your child to school on time. Students will need to bring their own skates and helmets if they are not renting. They will also need snow pants, warm gloves and a warm jacket. A fleece hoodie over a long sleeve t shirt is also a good option as it lets them move more freely. We will send out more information Monday. We will also need each child’s shoe size for the rentals. We start a new round of Special Helper and Sharing next week. Our sharing theme is Family. We are asking each child to bring in a photo of their family that we will display. The photos will be returned. We would also like the children to share three things their family likes to do together. You could help your child write them down on a piece of paper the three things and bring it in along with their photo. More information is posted on the parent board.